527, Studio compressor from API Audio. 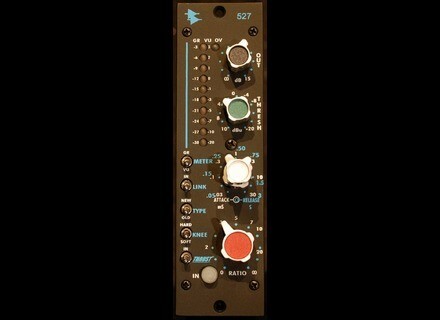 API is now shipping the 527 compressor, a single channel module based on API's 225L discreet channel compressor. The 527 features comprehensive controls including variable attack, release, ratio, and output gain controls. The unit also includes API's 'Thrust' circuit, first offered on the 2500 stereo bus compressor. A ten segment LED meter is switchable between gain reduction and output level. Check out www.apiaudio.com for more info. [NAMM] Korg Sound On Sound Korg introduced the Sound on Sound (SOS) Unlimited Track Recorder. [NAMM] Audio-Technica MCB4 Antenna Combiner Audio-Technica debuts its new MCB4 IEM Antenna Combiner at this year's NAMM show. [NAMM] Radian Apex NEO 1200 At the NAMM Show, Radian Audio Engineering is introducing its new Apex NEO Series of two-way floor monitors (Booth #6951).